How to select country or region to localize my Windows 10 computer system? 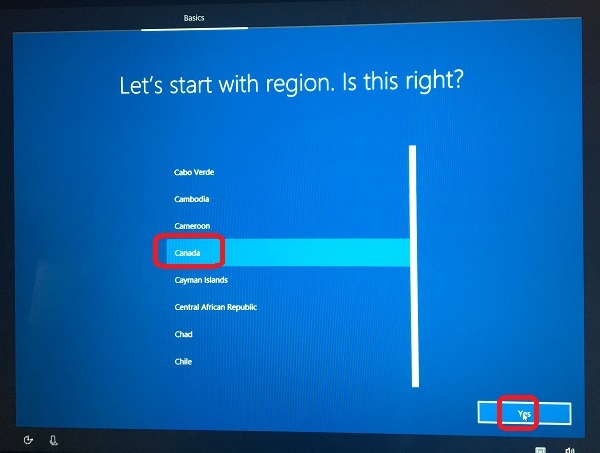 After your Windows 10 computer finishes the update, it will start the actual initialization process by ask you to select country or region where you live. Select "Canada" from the list, then click "Yes" to continue. You must be careful when selecting the country or region. Changing it after you have used the system is not so easy. See the next tutorial to continue.